Apart from my Edinburgh blitz, I like to take August a little slow on the theatregoing front. These few weeks offer a brief respite while many people are away on holiday or still up at the Fringe (which I’m not the slightest bit jealous about – no, really) before the ‘autumn season’ kicks off and the mad, quickening rush towards Christmas and the end of the year. 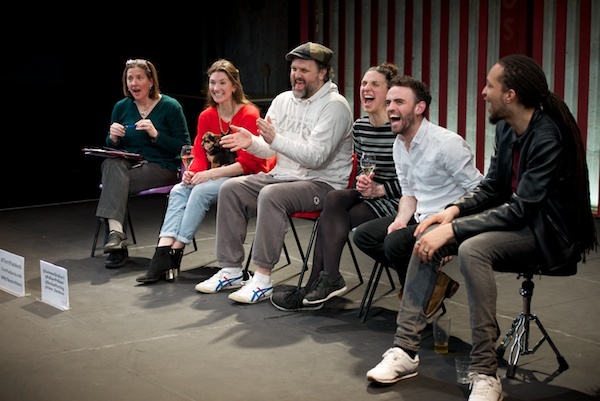 Other shows I’ve seen recently, and blogged about separately, include rock operas Tommy The Musical and American Idiot and father-son epistolary heart-warmer Dear Lupin. And two more musicals that I’d heartily recommend if they hadn’t come and gone so quickly at the St James Theatre are: Jason Robert Brown song-cycle Songs for a New World and Jake Brunger and Pippa Cleary‘s premiere Prodigy. 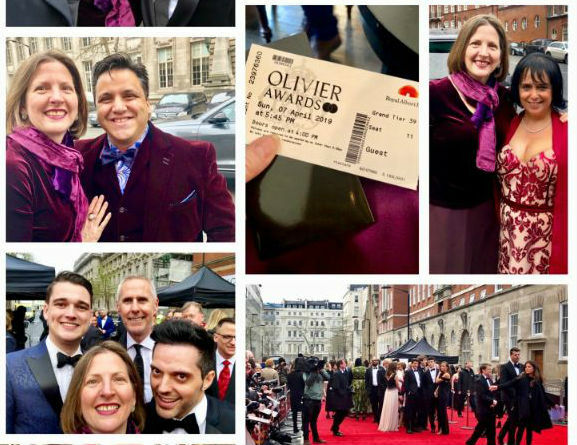 The former starred Cynthia Erivo, Jenna Russell, Damian Humbley and Dean John Wilson and surely deserves a transfer as soon as humanly possible. The latter, commissioned by the National Youth Music Theatre, has huge promise and deserves a commercial future. I’ve included both in the Twitter round-up below. I grew up on MGM screen musicals, and despite how totally un-PC it was (not that I knew the term at ten years old), Seven Brides for Seven Brothers was always one of my favourites. 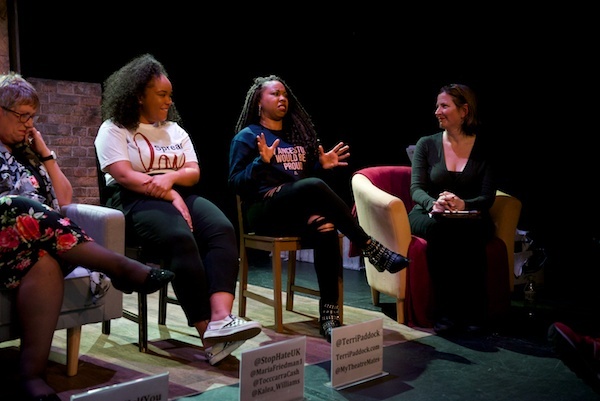 It doesn’t necessarily transfer so well to stage for 21st century audiences, though – and previous (cheap) productions I’ve seen have been as wobbly as their sets, uncertain how to deal with the women-as-second-class-citizens themes. Rachel Kavanaugh‘s new Open Air production on the other hand exudes confidence. It’s unapologetic about the storyline, allowing unreformed brother Adam (played by a twinkle-eyed Alex Gaumond) to be just plain unlikeable, and concentrates on delivering the good stuff to the highest quality: fantastic songs (“Bless Your Beautiful Hide”, “Goin’ Courtin'”, “Sobbin’ Women”) and big, high-kicking dance numbers with all those fabulous brides, brothers and some very nimble townsfolk. It’s wonderful too to see Laura Pitt-Pulford step into a leading lady role. As Adam’s wise wife Millie, she is full of frontier grit but also plenty of charm. 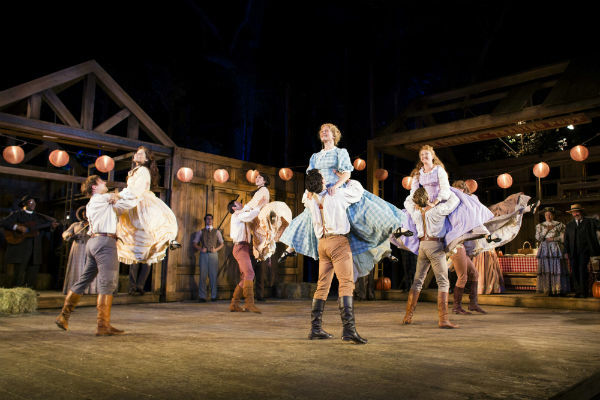 Seven Brides for Seven Brothers continues at the Open Air Theatre until 29 August 2015. 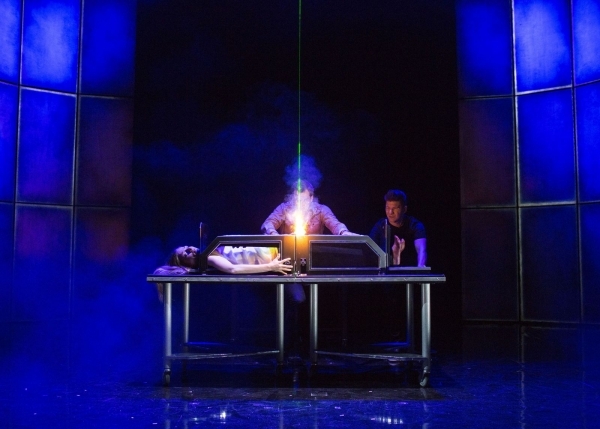 Impossible is one of a slew of magic shows descending on the West End this year. And this one comes with Broadway dimensions: it’s slick, bold, spectacular and, yes, at times, totally mystifying. It’s also a bit of a boys club affair: the one female on the bill, “sophisticated sorceress” Katherine Mills had disappeared by the time I attended. And the various beautiful assistants really are for display purposes only; well, displaying, carving, lasering, slicing, shooting and the like, but very little speaking. Though daredevil and escapologist Jonathan Goodwin got very hot and very wet, my personal favourites of the magicians I saw were rather less showy: geeky mind-reader Chris Cox, Ben Hart (whose ‘simple’ tricks with with a rope had the kids in the gallery dumbstruck) and ipad wizard Jamie Allan. There’s also an opportunity for everyone in the audience to experience some hands-on magic care of Luis de Matos and an envelope of cards that we all tear up and toss (the front of house stuff must love that). Britain’s Got Talent swordsman Aaron Crow joins the company for its final week later this month, before the show heads out on tour. Impossible continues at the Noel Coward Theatre until 29 August 2015. Splendour is 90 minutes straight through. But, while relatively short, you mustn’t assume that it’s slight. 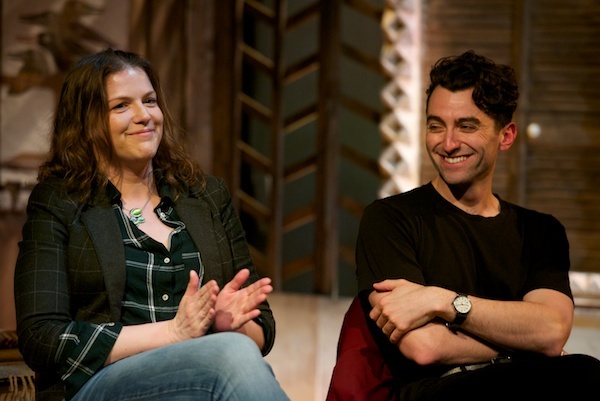 In fact, Abi Morgan‘s script – in which scenes are replayed multiple times with varied emphases, and inner-thought soliloquys sometimes crowd out dialogue – demands the audience’s rapt attention from the get-go, and delivers rich rewards by the end to those who give it. It’s set in an anonymous Eastern European dictatorship, where a Western press photographer (Genevieve O’Reilly) is covering a photoshoot at the opulent Presidential Palace. Only the despot has been delayed, and as the hours pass and the sounds of rioting outside grow nearer, it becomes clear why he’s never going to show. 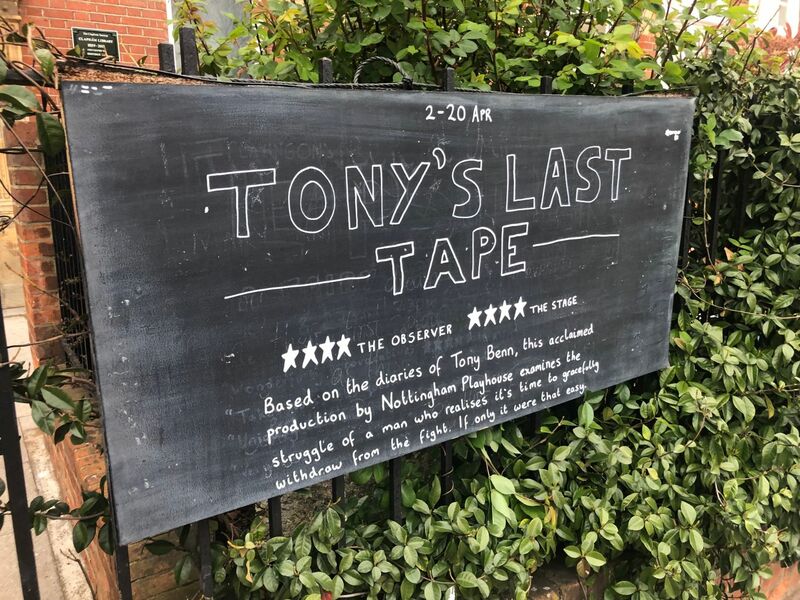 It’s left to his demanding but doting wife (Sinead Cusack) to entertain and obfuscate, with the not-so-willing help of her meek “best friend of 35 years” (Michelle Fairley) and a scheming, kleptomaniac translator (Zawe Ashton). I love the four-strong female cast in Robert Hastie‘s considered revival, and was particularly struck by Cusack’s performance as the monstrous Micheleine, a knowing accomplice to her husband’s crimes who clings to her defiance and delusions until the bitter and bloody end. Peter McKintosh‘s set of high gloss and sharp edges – massive chandelier, floor-to-ceiling windows, scattered shards of ice – suggests the cold grandeur of a regime built on cruelty that’s about to be shattered. Splendour continues at the Donmar Warehouse until 26 September 2015. Heartbreak Hotel is a site-specific, promenade piece set in a flea-bitten motel, in which loneliness and desperation occupy every room. Audiences are directed to one of two parallel corridors and then shepherded in smaller groups from one room to the next. This is no ordinary dump motel: it’s the premises for a new client service, providing simulated emotional experiences in our modern age of digital dislocation. As we wander from room to room, catching snatches the lives and peccadilloes of some of the guests and staff – we’re forced to question what is authentic and what isn’t, and invited to take part in the charade. I’d happily check back in to Brad Clapson‘s disco boudoir and foxy Natalia Campbell’s birthday party for one, and I applaud all of the actors for their precision timing and logistical mastery. If I lived closer to Greenwich, I’d happily spend more of whatever’s left of the late summer evenings at The Jetty, whether visiting Heartbreak Hotel or not. This temporary platform on a transformed pier behind the O2 on Greenwich peninsula is a magically atmospheric place, with funfair attractions, live music, great food, reasonably priced beer and really friendly staff. It’s like a blissfully less crowded, more local version of the London Wonderground at the Southbank Centre. Heartbreak Hotel has extended at The Jetty until 27 September 2015. Do you believe in magic in the West End?